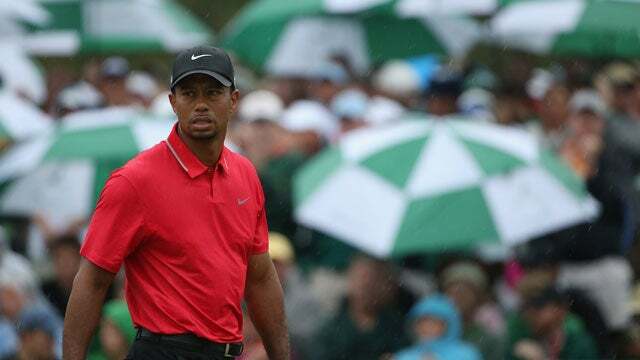 Tiger Woods at the 2013 Masters, where he finished in a tie for fourth. The chances we see Tiger Woods at the 2015 Masters are rapidly increasing. In an inteview with 120 Sports, Golf Channel analyst Notah Begay III said Woods has a "50-50" chance the 14-time major winner will play in his 20th Masters. The last time we saw Woods he was withdrawing from the Farmers Insurance Open in early February after missing the cut at the Waste Management Phoenix Open. He did not qualify for the WGC-Cadillac at Doral and sat out the Honda Classic and the Arnold Palmer Invitational, saying his game was not tournament-ready and not prepared to compete at the highest level. Begay said Tiger is steadily improving, but hinted the problems were not confined solely to the golf swing. Tiger's mental game needed to be retooled too, he said. Woods' status has dramatically improved since the beginning of the month. Three weeks ago Begay estimated the odds Woods would play in the Masters as 1 in 10. "My suggestion to him was to take as much time as he needed to just figure out this issue with his short game and also to work on or clean up a couple of things that might be a little loose with his golf swing," Begay said. "I think things are really settling. We’ve had some good discussions over the last week or so and he feels good about it. I think it was good for him to stay a step back, to reassess a variety of different things and do things on his timeline." Whether that timeline includes playing the season's first major remains to be seen.